Discover Italian fashion in Calgary. 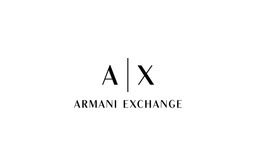 Brought to you by Italian designer, Giorgio Armani, Armani Exchange is a favourite haute couture retailer. Find the best in leather goods, shoes, watches, eyewear, and accessories. Visit us at Calgary's premier shopping destination, CF Chinook Centre today.